The NCBLA has organized a diverse range of projects and events since our inaugural event (Children and Books at a Crossroads: A National Symposium) in 1998, often in collaboration with other nonprofit organizations and government agencies. 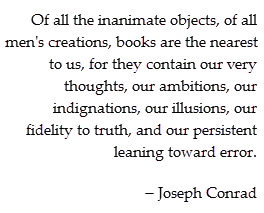 Click on a title or scroll down to read about each of our past projects. The NCBLA served as the children’s literacy and literature consultant to the Library of Congress and First Lady Laura Bush for the planning and execution of the first National Book Festival on September 9, 2001, at the Library of Congress. A special presentation featuring the NCBLA Board was the kickoff event of the Festival. The NCBLA has helped with nearly every National Book Festival since the festival’s inception, with appearances by NCBLA authors and consultant support. The NCBLA has an ongoing relationship with The Center for the Book, enthusiastically supports all of its work and great endeavors, and is firmly committed to offering help and assistance when called upon. 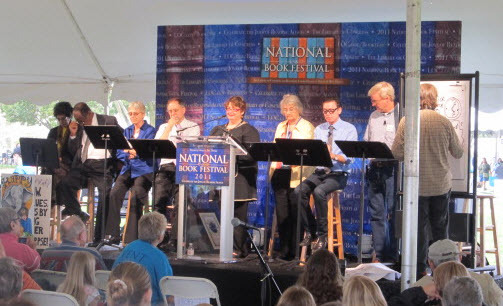 Authors and illustrators perform a dramatic reading at the 2011 National Book Festival. Left to right: Patricia McKissack, Fredrick McKissack, Susan Cooper, Gregory Maguire, Mary Brigid Barrett, Katherine Paterson, Jack Gantos, Chris Van Dusen, and Calef Brown (at easel). At the 2013 National Book Festival, the NCBLA presented a young people’s Literary Lights Readers Theater program, which featured favorite young people’s authors Katherine Paterson, Jon Scieszka, Grace Lin, Susan Cooper, and Mary Brigid Barrett, as well as special guests Carol Rasco, president and CEO of Reading Is Fundamental, and literacy advocate Lynda Johnson Robb. At the 2011 National Book Festival, contributors to the NCBLA’s progressive story game The Exquisite Corpse Adventure presented a dramatic reading, which included National Ambassador for Young People’s Literature Katherine Paterson, Mary Brigid Barrett, Calef Brown, Susan Cooper, Jack Gantos, Gregory Maguire, Fredrick McKissack, Patricia McKissack, and Chris Van Dusen. At the 2010 National Book Festival, the NCBLA opened the Children’s Pavilion programs with a Readers Theater production of The Exquisite Corpse Adventure, written by Katherine Paterson. Featured authors and illustrators included Mary Brigid Barrett, James Ransome, Katherine Paterson, Timothy Basil Ering, Linda Sue Park, and M. T. Anderson. At the 2009 National Book Festival, the NCBLA launched The Exquisite Corpse Adventure. 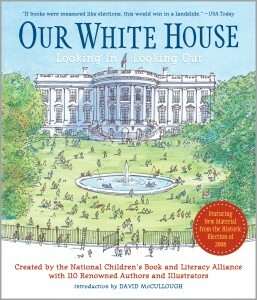 The 2008-2009 National Ambassador for Young People’s Literature Jon Scieszka read the opening episode of this rollicking, progressive story game created as a national reading outreach project by the NCBLA and the Center for the Book in the Library of Congress. Also on stage were five other Exquisite Corpse contributors: Megan McDonald, Steven Kellogg, Nikki Grimes, Kate DiCamillo, and Shannon Hale. Emceeing the presentation was author-illustrator Mary Brigid Barrett, President of the NCBLA. 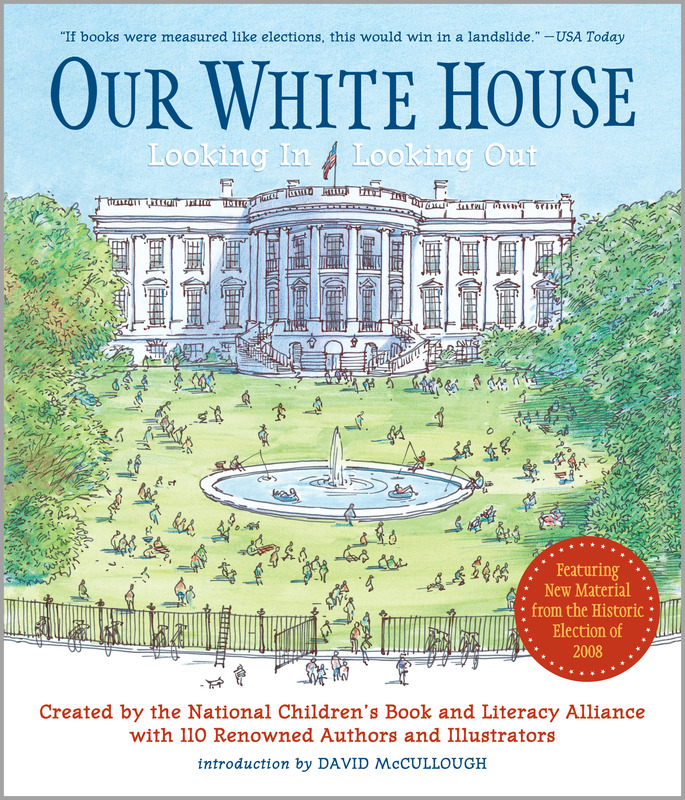 At the 2008 National Book Festival, the NCBLA introduced its art and literature anthology Our White House: Looking In, Looking Out with readings from contributors: Jon Scieszka, Katherine Paterson, Steven Kellogg, Lynda Johnson Robb, and Mary Brigid Barrett. To see photographs from our National Book Festival events, please visit our photo albums on our Facebook page. The NCBLA collaborated with the National Children’s Museum to present The White House on the Waterfront: A Celebration of Children’s Literature at the museum’s location in National Harbor, Maryland. NCBLA board members Katherine Paterson, Steven Kellogg, and Patricia MacLachlan were invited to discuss their contributions to Our White House: Looking In, Looking Out during a series of weekend presentations that included discussions and activities related to our government and the White House, past and present. NCBLA founder and president Mary Brigid Barrett also participated in this weekend event.Admission to all presentations and activities was free and open to the public. Families from throughout the Washington, D.C. region attended. To see photographs from this event, please visit the photo gallery on our Facebook page. 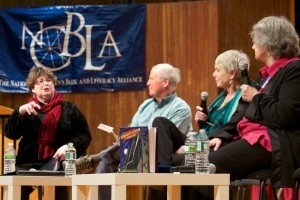 Left to right: Mary Brigid Barrett, Steven Kellogg, Susan Cooper, and Katherine Paterson. In December 2011 the NCBLA joined forces with the Cambridge Public Library, the Massachusetts Institute of Technology, and Porter Square Books to present The Exquisite Conversation: An Adventure in Creating Books!, an afternoon of literary events highlighted by a lively roundtable discussion featuring eight award-winning authors and illustrators discussing the creative process, writing, and narrative illustration. This presentation was free and open to the public and included M. T. Anderson, Natalie Babbitt, Susan Cooper, Timothy Basil Ering, Steven Kellogg, Patricia MacLachlan, Katherine Paterson, and James Ransome. NCBLA founder and president Mary Brigid Barrett moderated the discussion. To see additional photographs and learn more about this event, please visit the photo gallery on our Facebook page. Katherine Paterson, a Vice President of the NCBLA Board of Directors, served as the 2010-11 United States National Ambassador for Young People’s Literature. Held in October of 1998 at the John F. Kennedy Presidential Library in Boston, Massachusetts as the NCBLA’s inaugural event, the symposium focused on the national crisis currently existing in young people’s education and literacy. First Lady Hillary Clinton served as Honorary Chair. The 550-plus attendees at the symposium represented government, business, education, entertainment, and media leaders from over 37 different states. Speakers at the symposium, which was co-sponsored by the Teresa and H. John Heinz III Foundation, included: Maya Angelou, David McCullough, Charles Osgood, activist Geoffrey Canada, and Harvard astrophysicist Margaret Geller, as well as authors from the NCBLA Board. 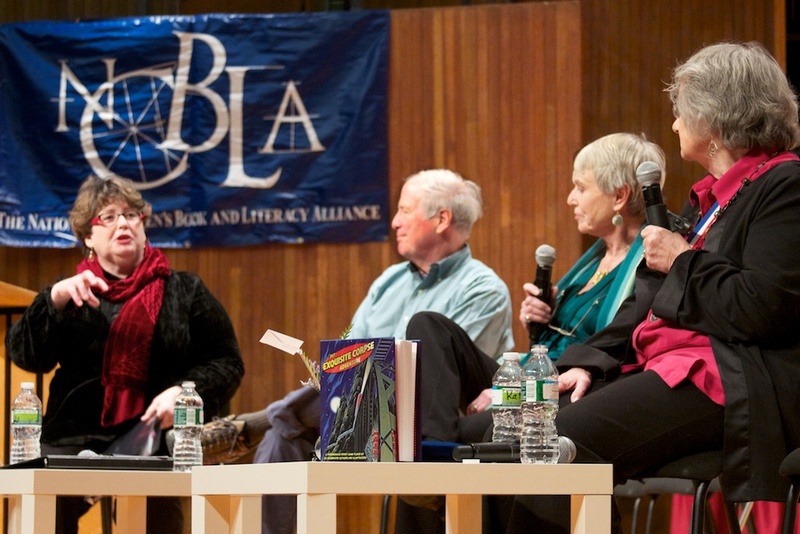 The NCBLA designed and organized young people’s author and illustrator panels at Mount Holyoke College and the Boston Public Library that were open to the public. The authors participated in thoughtful and provocative discussions about their work, their writing and art, literacy, aliteracy, the power of the imagination, and the vital need for young people to have access to free, public and school libraries. The audience at both events overflowed beyond the 500 seat capacity, becoming standing room only events. Participating authors and illustrators included: Katherine Paterson, David Macaulay, Natalie Babbitt, Patricia McKissack, Fredrick McKissack, Jon Scieszka, Steven Kellogg, Gregory Maguire, M.T. Anderson, David Weisner, Patricia MacLachlan, and Susan Cooper. The NCBLA served as the literacy consultant for United States Senators Jack Reed (D-RI) and Thad Cochran (R-MS) developing bi-partisan school library legislation to mandate national funding for school libraries. The NCBLA was also the literacy consultant on the development of a website delineating the need for the legislation and promoting citizen activism. The NCBLA’s work helped secure the inclusion of the amendment in the current Education Bill. The NCBLA served as a literacy consultant for Verizon Information Services (VIS), the “yellow pages,” until their corporate social commitments switched from literacy issues to health issues. NCBLA President Mary Brigid Barrett, with well-known actor and Verizon spokesperson James Earl Jones, served as the keynote speakers at Verizon employee literacy rallies. Barrett educated employees about literacy needs, solutions, and opportunities for volunteerism. As a result, employee volunteerism more than doubled. Other collaborative projects included: reading and book promotion programs; school library revitalization contests; city park storytelling sessions; and the publication and distribution of how-to literacy guides for parents. The NCBLA worked with VIS to develop and expand their website Superpages.com/EnlightenMe. The website included a community information section, “Enlighten Me,” devoted to literacy. NCBLA President Mary Brigid Barrett wrote a monthly literacy column for “Enlighten Me” that shared ideas and strategies to promote and enhance young people’s literacy skills. In addition, this monthly literacy article spotlighted national and community literacy leaders and organizations. The NCBLA worked with Boston America Scores teams to create a series of afterschool workshops celebrating American poetry. These workshops included creative writing projects and activities, culminating in Poetry Slams where students practiced public speaking skills sharing their original poetry with their classes and team mates. The NCBLA worked with Pop Warner Football on a coaches’ project—“Take Your Team to the Library.” Across the country Pop Warner coaches hosted a team meeting at their neighborhood public libraries encouraging players to obtain their own library card, with coaches demonstrating the use of library cards, borrowing library materials themselves, encouraging their players to do so, too. Librarians in participating public libraries gave players a tour of their libraries, noting fiction and nonfiction sports-themed books of interest to coaches and players.